Black Panther is one of the most anticipated films of 2018. 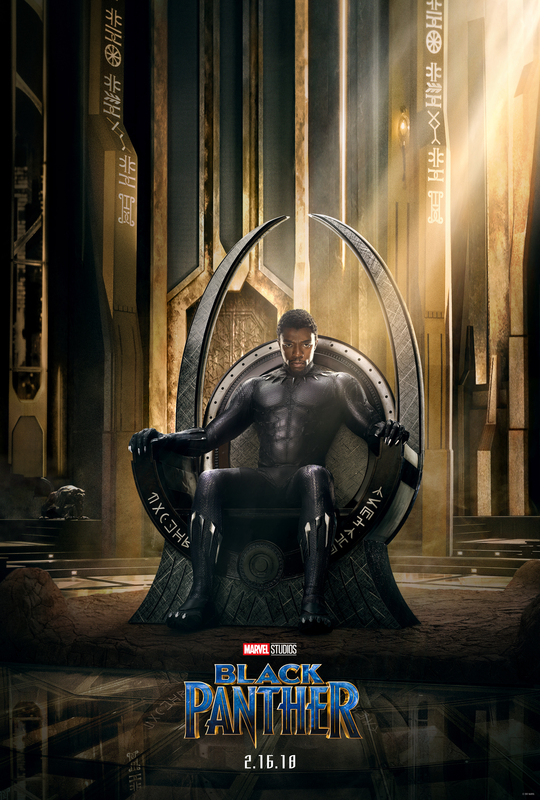 With continuous amazing casting news, Marvel is really stepping up their game for the upcoming film, and they just released an amazing new Black Panther poster that is basically perfect. Marvel’s Black Panther is still a few Marvel films away (with Spider-Man: Homecoming and Thor: Ragnarok both coming out in 2017) but Black Panther is the next Avenger to get his very own stand-alone film. So you could say that people are pretty excited. Since his debut in Captain America: Civil War, Black Panther has been one of the coolest characters in Marvel’s Cinematic Universe. Marvel has also released the synopsis for the film, and it is intense. "Black Panther follows T’Challa who, after the death of his father, the King of Wakanda, returns home to the isolated, technologically advanced African nation to succeed to the throne and take his rightful place as king. But when a powerful old enemy reappears, T’Challa’s mettle as king — and Black Panther — is tested when he is drawn into a formidable conflict that puts the fate of Wakanda and the entire world at risk. Faced with treachery and danger, the young king must rally his allies and release the full power of Black Panther to defeat his foes and secure the safety of his people and their way of life." The more Black Panther in our lives, the better! The latest teaser trailer will premiere during game 4 of the NBA finals so make sure to tune in for that! Black Panther will be in theaters February 16th, 2018.